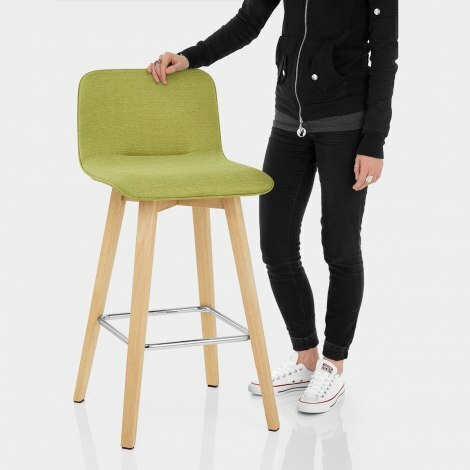 A tantalising combination of bold modern design and Scandinavian style, the Tide Wooden Stool Green Fabric is a refreshing piece. Standing strong at kitchen worktop height, the Tide has an unmissable design that is set to wow your guests. Simply superb, the green fabric seat adds a delightful dash of colour to the home. 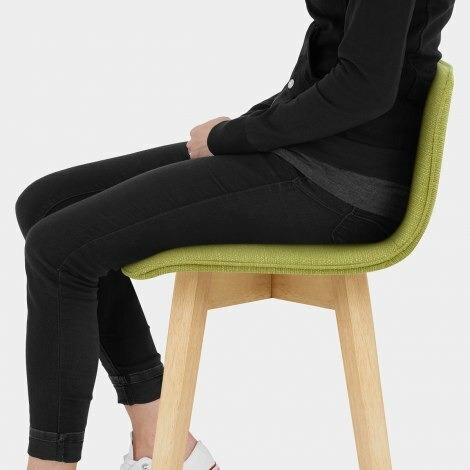 In addition, the padded seat and supportive medium back are edged in neat piping and have a subtle stitch detail in the centre. A unique feature for a four-legged design, the 360-degree swivel feature makes it easy to access your bar. 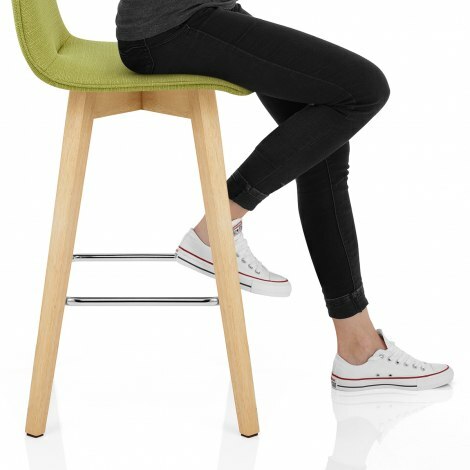 With contrasting chrome bracing bars creating a sleek footrest, the oak finished solid wood frame has a sturdy and practical design. Adding to this is the protective floor plugs included on the underside of each leg.